Australian casino operator Crown Resorts may become a defendant in a class action from shareholders as a result from a significant share slide over the past several months. Australian plaintiff law firm Maurice Blackburn Lawyers has, as of today, started accepting registrations from investors that want to take part in the lawsuit. It has become known that the decision for a class action arose from the detention of Crown Resorts staff in China. Late last year, 18 employees of the major casino operator were arrested in the East Asian country for allegedly promoting gambling services in an illegal manner. Only one of the detained staff members was later on released on bail. It has been revealed that Jason O’Connor, Crown Resorts’ Vice President of international VIP operations, was also among those arrested. The massive arrest brought more trouble to the gambling operator as shares dropped 14% overnight after news from China surfaced. The already anxious shareholders were further spooked as the story unfolded and more light was shed on the seriousness of the matter. The continued share slide resulted in Crown Resorts losing more than A$1 billion from its value within a very short period of time. Listed on the Australian Stock Exchange, Crown Resorts’ market cap currently stands at A$8.12 billion. According to Julian Schimmel, a Principal in Maurice Blackburn Lawyers’ class actions department, Crown Resorts should have informed investors about its activities in China as well as about the risks it was taking by trying to promote its casino resort services to potential local customers. VIP players from Mainland China have always been among the Australian operator’s most precious customers due to their tendency to spend big. This is why, in Mr. Schimmel’s view, shareholders should have been well-aware of the risk of VIP revenue drop in case of unfavorable turn of events. 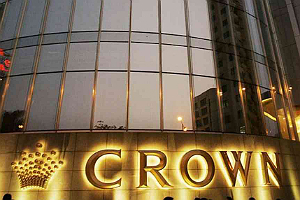 He further noted that following the arrests, Crown Resorts has tried to downplay their significance of the matter by arguing that China accounted for a relatively small portion of the group’s overall revenue. It has been announced that International Litigation Funding Partners will back financially the class action. It will likely attract both existing and former Crown Resorts investors. Following the gambling operator’s tumultuous year, it became clear last month that James Packer, its largest shareholder, would resume his seat at the company’s board. The Australian business magnate owns 48% in Crown Resorts. His return to the board marked the resignation of the operator’s Chairman Robert Rankin and the appointment of John Alexander as his successor.